This adventure trip along unique mountain roads will take you to the enchanting world of the high-altitude Pamir Mountains revealing the wild beauties of untouched nature, giving an insight to local original culture and lifestyle of the Pamir people. 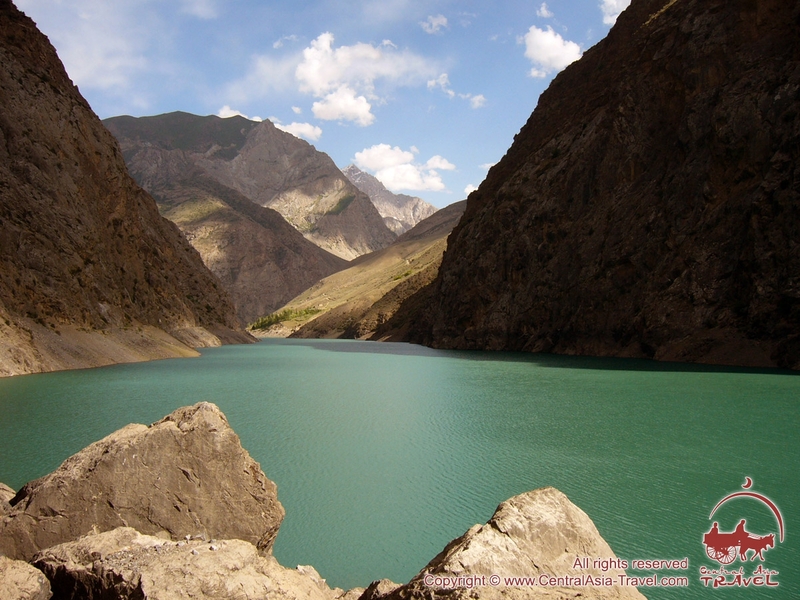 During this adventure tour you will enjoy the hauntingly spectacular mountain landscape of the “Roof of the world”, experience the atmosphere of high-altitude desert plateaux and seldom visited place of Tajikistan - Wakhan valley, marvel at grandeur and splendour of picturesque mountain gorges and lakes and after crossing one of the world's most remote and desolate borders you will return to civilization immersing yourself in lush vegetation of grasslands and warmth. Pamir Highway tour and travelling along the Wakhan corridor you can escape the contemporary technogenic environment and immerse yourself in a fascinating world of mountains, feel true freedom and genuine emotions! Day 1 Arrival in Osh (excursion). Osh - BC (290 km, 5-6 h.). Early arrival in Osh - “South capital” of Kyrgyzstan. Meeting at the airport. 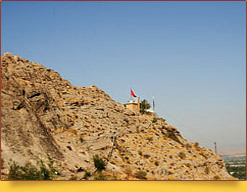 Guided sightseeing in Osh: Sulayman Mountain and Museum. Visiting Osh Bazaar. 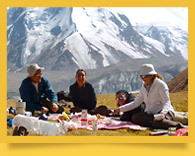 Transfer to the tourist Yurt Camp (Base Camp) on Edelweiss Meadow at Lenin Peak foot (3,600 m). Arrival at the Base Camp and accommodation in tents. Hike up to Leek (Lukovaya) Meadow (3800 m). Dinner at the Base Camp. Overnight in tents. We shall begin our interesting tour of the Pamir Mountains in Osh. 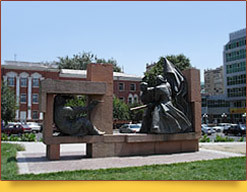 Located in South Kyrgyzstan, Osh is often referred to as ‘the southern capital’. It is the country’s second largest city. Once you arrive in Osh, you will meet kind and hospitable people and see green busy streets with a lot of cozy cafes. Osh is one of the oldest Central Asian settlements and is the oldest one in Kyrgyzstan. Archaeological finds prove that the city is at least 3000 years old. In the 10th c Osh was considered the third largest city in Fergana Valley. It was a cross-roads of the caravan routes from India and China to Europe - those of the Great Silk Road, part of which you are moving along. 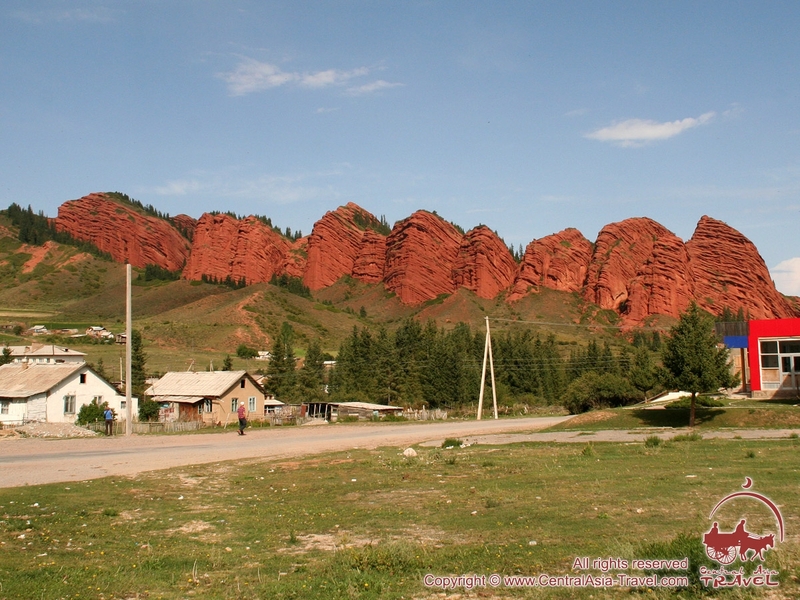 • Sulayman Mountain - the main Osh’s place of attraction and the only Kyrgyzstan’s World Heritage Site. The mountain rises in the middle of the city, which enhances its impressiveness and indicates that the Pamirs are not far already. There are many legends about the mountain. It was named for the prophet Suleiman, who is believed to have been able to cure all the diseases. According to a belief, this is the place where prophet Suleyman appealed to God, and the stones still bear the imprints of his forehead and knees. Muhammad Zahiriddin Babur (1483-1530), Tamerlane’s great-grandson and the founder of the Mogul dynasty, built a khujra (cell) with a mihrab over this place sacred for any Muslim. The site of the cell is now occupied by the Takhti-Suleyman mosque, a unidirectional building of white rock, and ‘Babur’s house’ restored following historical data. • National Historical and Archaeological Museum Complex Sulayman. A cave in the Sulayman mountain is the site of a Museum containing a collection of archaeological, geological and historical finds and information about local flora and fauna. 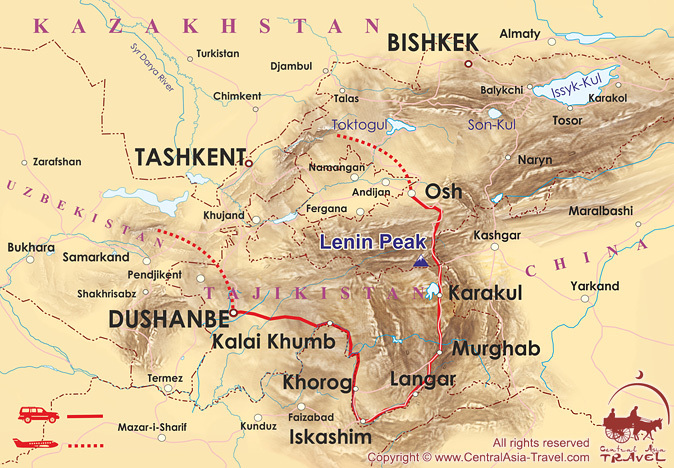 After the sightseeing program we transfer from Osh to the Base Camp of Lenin Peak (290 km, 5-6 hours). The road from Osh to the Base Camp runs across two mountain passes - Chyyyrchyk (2,408 m) situated near the village of Gulcha and Taldyk (3,615 m) near the village of Sary Tash forming ‘gates’ that mark the end of the downhill into the Alay Valley. The Kyrgyz portion of the M41 Pamir Highway, which it was once so difficult to construct at such high altitudes, has recently been renovated, and now you will surely enjoy driving on its perfectly smooth asphalt. Gradually driving up along the M41 road to the Taldyk Pass, then down to the bottom of the Alay Valley and then again up to our Base Camp in the Achik Tash Valley, you will make the first acclimatization steps. Upon arrival at the Base Camp of Lenin Peak (3,600m) you will be accommodated in comfortable in four- berth base tents per 2-3 members. Tents feature with electrical outlets, individual lighting - desk camp, wooden deck flooring, mattresses, covers, pillows and furnishing: blanket cover, pillowcases and bed sheet. Our Base Camp is located on the Edelweiss Meadow (3,600 m); however, we recommend that you reach the Lukovaya (Leek) Meadow (3800 m, +200 m) to minimise the symptoms of the altitude sickness. A lot of marmots live there; the meadow is pockmarked with their burrows. They are so curious that you can photograph them at a distance of about 3-4 meters. They are big and shaggy, and when finally scared, they rush back to their burrows with screeches, showing their fluffy tails - cute animals. Pamirs summer is very short but awesome. 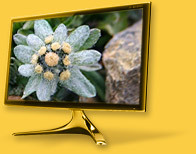 You can see amazing variegated flowers on the glades near the Base Camp (3600 m). Dinner at the camp. Overnight in tents. Day 2 Base Camp under Lenin Peak. Base Camp and its surroundings. Breakfast at the Base Camp. A walking trip to lakes across Achik-Tash River Valley. Walking to the yurts of the locals, acquaintance with the life and traditions of Kyrgyz nomads. Lunch and koumiss tasting. Master class in plov cooking in the evening. Dinner. You will be able to see everything around well in the morning. Lenin Peak, standing out in the surroundings, is at a distance of only 15 kilometers from the camp. Breakfast at the main yurt of the camp. Once you are inside, you will see traditional Kyrgyz decorations on its walls, as well as lot of photographs and feedback comments of our guests from almost all over the world. We will have a walk down the Achik Tash valley to lakes, which are in numbers scattered around the hilly area. They are highly picturesque and even allow for swimming. During the walking we visit the local people’s yurts to acquaint ourselves with the life and traditions of mountain nomads, who will no doubt treat you in their traditional beverage koumiss. Mare’s milk is the basic ingredient of classic koumiss. A special enzyme added to the milk turns it into a delicious reinvigorating and refreshing drink. Authentic koumiss is rich in proteins, fats, vitamins (B1, B2, C and biotin, as well as pantothenic and folic acids), calcium, phosphorus and many other chemical elements and agents good for health. Koumiss has gained the status of an alcoholic drink, as the natural fermentation leads to 1-3 % or higher alcohol content in koumiss. Return to the Base Camp. Master class in plov cooking in the evening. Dinner. In the evening almost all the campers get together in the main yurt with a stove in it. They come from many countries so it is a perfect place to meet interesting people and listen to intriguing and useful stories and facts. Day 3 Base Camp of Lenin Peak - ‘Kyzyl-Art’ border check-point - Karakul Lake - Murghab (240 km, 6-7 hrs). Breakfast at the Base Camp. 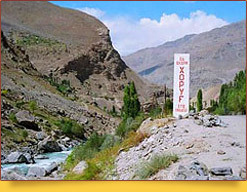 Transfer to Kyrgyz-Tajik border ‘Kyzyl-Art’ via the Kyzyl-Art pass (4,280 m). Cross the border at ‘Kyzyl-Art’ border check point and continue to the high-altitude Karakul Lake (3,914 m) - the largest lake in Tajikistan and one of the highest in Central Asia, surrounded by mountain peaks. Lunch en-route. Drive over the Akbaital Pass (4,655 m), which is the highest road pass in the CIS and highest point of the M41 highway. Arrival in Murghab (3,600 m) - the highest alpine town in Tajikistan and the whole Central Asia. Today we leave the territory of Kyrgyzstan and enter Tajikistan. After breakfast at the Base Camp we drive towards the Kyzylart Pass (4,280 m) across the Trans-Alay Range and arrive at the Kyzylart post at the border between Kyrgyzstan and Tajikistan. We pass the Kyzykart border post following all necessary official procedures and enter the territory of Gorno-Badakhshan Autonomous Regio (Tajikistan). Next we drive to highly picturesque endorheic Karakul Lake (the name translates from Turkic as ‘the black lake’) lying to the north of Myrgab at an elevation of 3,914 m, which is 100 m higher than Lake Titicaca in the Andes, the most popular alpine lake in the world! Moreover, this is the largest lake of a mixed glacial and tectonic origin, with an area of 380 m (without islands) and a maximal depth of 240 m. The lake is surrounded by bare rocky mountain ridges, which drop directly into the lake from the west and are situated at some distance from it in the east. Karakul Lake lies in a meteorite crater, which formed about 25 million years ago and has a diameter of 45 km. Another characteristic feature of Karakul is the fact that a wide strip of its shore lies on ice, it being found even on the bottom of the lake. The shore ice is gradually melting, resulting in a number of new depressions, straits, small lakes and islands and in the lake constantly changing in size. With annual average precipitation being about 20 mm, the Karakul depression is the driest spot in the Pamirs. As we cross Ak-Baital (4,655 m), one of the world’s highest mountain passes with a road, we move towards Murghab. Murghab (3600 m) is the highest town in Tajikistan and the whole Central Asia. Initially Murgab founded in the late 19th century on the Murgab Plateau was the site of the Pamir garrison of the Russian Empire. Today Murgab is situated on the famous Pamir Highway, which connects Tajikistan with Kyrgyzstan, Afghanistan and China. The weather in Murgab is highly unstable, the temperature dropping in some winters as low as - 50°С and rising to + 40°С in summer. The town is blown by permanent strong wind, which can often bring an unexpected rain- or snowstorm. In spite of the weather around 4,000 people live in Murgab. Most of them are ethnic Kyrgyz, who, nevertheless, live in houses more typical of the Tajik people. Murgab features guest houses, cafes, a bazaar and craftsmen’s workshops, where one can purchase unique articles produced manually by the Pamir people: handmade carpets, traditional Kyrgyz hats (kalpak), bags, traditional embroideries and other souvenirs. Day 4 Murghab - Langar (250 km, 5-6 hrs). Breakfast at the hotel. Drive to Langar village. 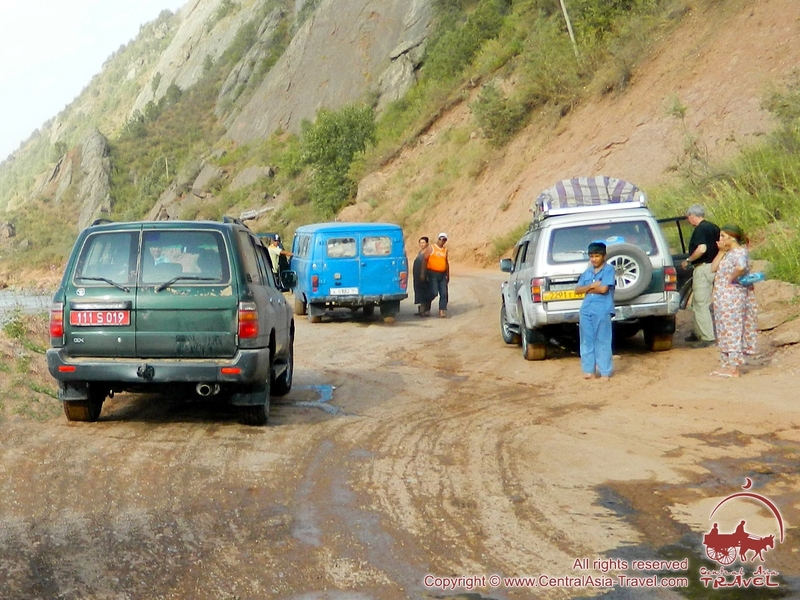 The culmination of the tour is the approach to the Vakhan Corridor - the road here goes along a tall terrace and features dizzy serpentines and precipices. On a clear day you can see the snow-capped summits of some 7,000-metre peaks in the Hindu Kush, the highest region in Afghanistan. Lunch. Acquaintance with the life and traditions of locals. Today our destination is Langar village in the Wakhan valley, South Pamirs. Langar is situated at an elevation of 3,000 m above sea level and surrounded on all sides by the peaks of the Pamir Mountains and Hindu Kush rising to 6,000 m and more. Langar is inhabited by Wakhan people and is famous for its rock paintings. Scientists have discovered over 6,000 petroglyphs at the site depicting hunt, caravans and horsemen. Among other places of interest in Langar are a local museum and the grave of Shokh Kambari Oftaba, who brought Ismailism to the area. The mausoleum is a place of pilgrimage for the mountain dwellers, who continue to perform ancient rites there, bringing argali’s horns to the altar. Wakhan Valley (Wakhan, Wakhan corridor) is a rarely visited historical and cultural region of Badakhshan province situated along the upper courses of the Panj and Wakhan Rivers. The Wakhan corridor is a narrow land link between Afghanistan and China running across Badakhshan province. From the north it is confined by the Pamir Mountains, and from the south - by Hindu Kush. According to an agreement between the Russian and British Empires concluded in the late 19th century, this narrow strip of land was transferred to independent Afghanistan, which became a buffer between Russian Central Asia and British India. This high-altitude territory stretching for about 210 km along the valleys of the Wakhan and Panj Rivers, with a width ranging from 20 km to 50 km, today separates Tajikistan from Pakistan. The territory of the high-altitude Wakhan corridor has never known any military actions due to its geographical location and severe climate, as actual winter comes there in late September and features low temperatures (minus 30 °C and lower); in summer the air temperature rises to plus 30 °C. The Wakhan corridor is becoming increasingly popular among mountaineers, hikers and those engaged in other types of mountain activities. The Arian people inhabiting Wakhan are particularly remarkable. Their culture is a bright mixture of various traditions, religions and systems, characterised at the same time by unity and harmony with the surrounding majestic mountains. A large number of peoples and personalities have left their traces in the history of Wakhan: Alexander the Great with his troops propagating Buddhism of the Greek type; Tibetan Buddhists, who founded large monasteries in the territory of the region; the Arabs who brought Islam there; the Mongols, whom the Sunni and Ismaili used to fight with each other. Dinner and overnight homestay in Langar. Day 5 Langar - Ishkashim (140 km, 4-5 hrs). Breakfast at the guest house. Drive to Ishkashim town. En-route visit Bibi Fatima hot spring and Yamg village. Sightseeing in Yamg village: tomb and reconstructed house museum of Sufi mystic Mubarak Kadam, and the stone that was used as a solar calendar 700 years ago.Lunch en-route (lunch-boxes). Arrival in Ishkashim. • Village of Yamg (Jamg), where we shall visit the tomb and reconstructed house of Sufi Mubarak Kadama. Sufi Mubarak Kadama (1843 - 1910) was an inventor, poet and musician, whom locals call Mubarak of Wakhan. The museum organised in the person’s house contains a collection of musical instruments and a loom made by Mubarak himself, as well as his books and everyday articles. Not far from his house one can find an ancient stone with an aperture, which was since old times used as a sundial and calendar. Using this instrument Mubarak Kadam could determine calendar holidays. In Langar we shall stay in a private house. • The hot spring Bibi Fatima in the village of Yamchun. The spring is connected with numerous legends about its curative properties, and its name is associated with Fatima, Prophet Muhammad’s wife. The water of the spring is characterised by a year-round temperature of 40 °C and contains radon and other minerals making it uniquely curative. It comes right out of a rock in two streams, which local’s call ‘Fatima’s sleeves.’ Next to the spring there is a kind of infrastructure consisting of a pool and changing and recreation rooms. There one can also go down a staircase to have an invigorating shower under a natural waterfall. 90 km east of the hot spring Bibi Fatima is Ishkashim town. Day 6 Iskashim - Khorog (120 km, 2 hrs). Breakfast at the guest house. Drive to Khorog, which is the main city of the Gorno-Badakhshan Autonomous Region (GBAO). Arrival in Khorog and accommodation in the hotel. 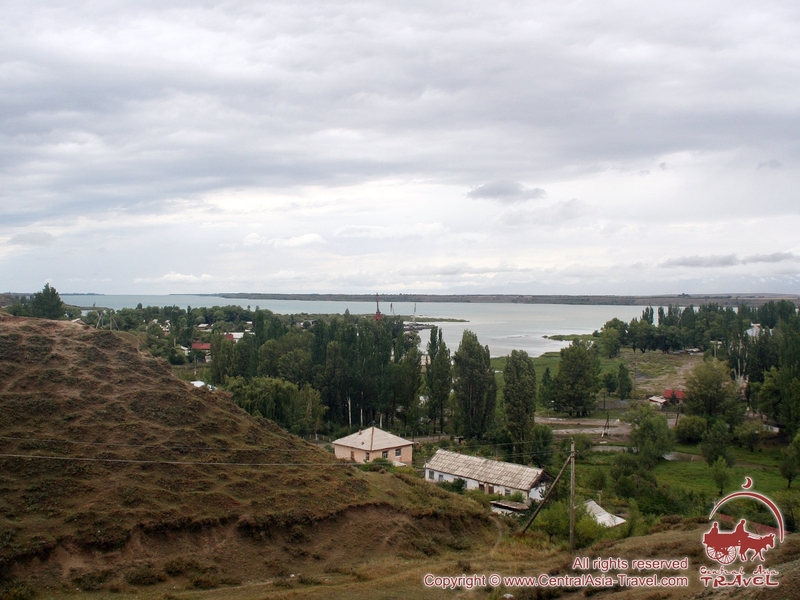 Sightseeing program in Khorog: botanical garden, local lore museum and bazaar. Today our destination is the city of Khorog. Khorog (Khorugh) is an administrative centre of Badakhshan province of Tajikistan since 1925, a very beautiful city buried in thick verdure, with unique traditional Pamir houses in its suburbs and huge poplars growing all over the city area. A regional centre of administration, trade, transport and, certainly, education, Khorog is situated on the bottom of a deep gorge, at an elevation of 2,200 m above sea level, not far from the place where the Gunt merges with the Panj, 525 km from the country’s capital Dushanbe. The walls of the deep canyon the city lies in protect it from winds and low temperatures in winter, summer being warm and dry all over the region. No doubt, the orchards of Khorog formed of thousands of apple, apricot and mulberry trees will appeal to you. Although the overall life standard in the city is not very high, in recent years Khorog saw several new hotels and guest houses, Internet cafes and Tajik cuisine restaurants. • The eastern part of Khorog is overlooked by the famous Pamir botanical garden, occupying terraces at the banks of the Shakhdara River at an elevation of 2,320 m above sea level. It is the world’s second most elevated botanical garden (after the one in Nepal) and features unique flora brought from all over the planet. • Khorog Regional Museum, where you can find historical and art exhibits. Day 7 Khorog - Kalai-Khumb (265 km, 6-7 hrs). Breakfast at the hotel. Drive to Kalai-Khumb town. Lunch en-route. Visiting the site of ancient settlement of Karon. Arrival in Kalai-Khumb. Dinner and overnight at the hotel. Today we shall drive to Kalai-Khumb town, with a stopover at the site of ancient settlement of Karon - monument of architecture and culture, situated at an altitude of about 2000 m in Darvaz district of Gorno-Badakhshan Autonomous Region of Tajikistan. Kalai-Khumb is an urban village situated close to the border with Afghanistan, 368 km from Dushanbe, where the Khumbob River empties into the Panj. 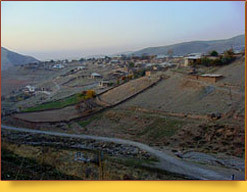 Kalai-Khumb is the administrative centre of Darvaz District, Badakhshan province, Tajikistan. The settlement with a population of around 2,000 people is located at an elevation of 1,200 m above sea level, its name literally translated from Tajik as ‘a fortress on the bottom of a jug'. The town was founded as a fortification at the Khumbob River in the 15th century and until the 19th century remained the capital of Darvaz, an independent Tajik kingdom (the name ‘Darvaz’ translates as ‘gates’). 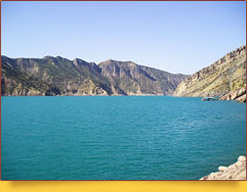 Kalai-Khumb lies at the junction of roads linking the district with other regions of Tajikistan and even has an airport. Darvaz District is a region with highly developed agriculture, local people growing cereals, melons and water melons, vegetables and fruit. In Kalai-Khumb one can also buy select pomegranates, figs, persimmons, pistachios and almonds that have been grown in the areas around the town. Day 8 Kalai-Khumb - Dushanbe (350 km, 7-8 hrs). Breakfast at the hotel. Drive to Dushanbe, the capital of Tajikistan. En-route visit Mir Said Ali Khamadoni Mausoleum and Khulbuk Fortress. Lunch in Kulob town. Arrival in Dushanbe and sightseeing program: Independence square, grandiose monument of Ismail Somoni, Rudaki Avenue, Museum of the Antiquities of Tajikistan boasting the richest collection of artefacts excavated in the territory of Tajikistan, the central exhibit of which is the colossal statue ‘Buddha in Nirvana’ 12.85 m long and 5.5 tonnes in weight. Dinner at a local restaurant. Overnight at the hotel. • Mir-Said-Ali-Khamadoni mausoleum (14-16th century) in the city of Kulob 175 km from Dushanbe. Mir-Said-Ali-Khamadoni was a well-known Persian Sufi philosopher, poet and scholar. 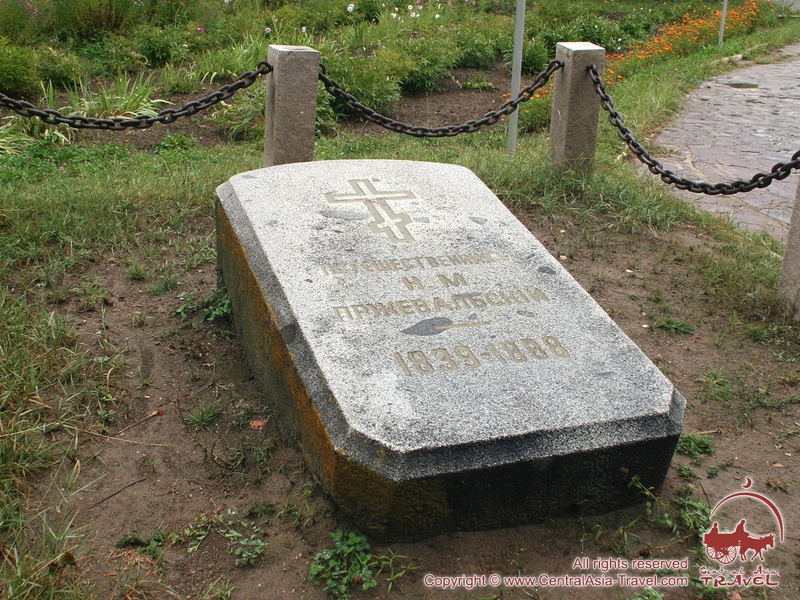 The mausoleum is situated in the city centre, next the Museum of Regional Studies. • Historical museum-reserve Khulbuk - an archaeological complex with a total area of 16 ha in the village of Kurban Shaid, Khatlon Province, Tajikistan. The complex includes a medieval fortress, a ruler’s palace and fragments of an archaeological site. Lunch in Kulob (Kulyab) town. Dushanbe is the capital and the largest city in Tajikistan, features squares that have retained the memory of numerous historic events, ancient fortresses that witnessed major historic battles and museums that can relate the stories of old civilisations. Dushanbe is the capital of a country, where Ismail Somoni, an outstanding ruler from the Samanid dynasty, after whom the monetary unit of Tajikistan, somoni, was named and the Pamirs’ highest peak, Ismail Somoni Peak (former Communism Peak), was renamed in 1998, founded his great empire. Present-day Dushanbe is a modern capital, a sunlit city with a highly developed infrastructure, which, probably, is the leader in the number of streets, avenues and squares named after poets and writers. For the first time the city of Dushanbe was mentioned in literary sources only in the early 18th century, although scientists discovered at the site a number of archaeological monuments belonging to the Greco-Bactrian period, as well as a few medieval settlements. Initially the city sprang up as a small settlement at a crossroads, where a large bazaar used to be organized on Mondays. Thence, the name of the city, ‘dushanbe’ translating as ‘Monday’ from Tajik. • Monument of Ismail Somoni - the wise emperor with a shining sceptre seems to walk from under a huge gilded arch 40 m high. • Rudaki Avenue - the main street of Dushanbe; many tourist attractions are situated along it. • The Museum of the Antiquities of Tajikistan boasting the richest collection of artefacts excavated in the territory of Tajikistan, the central exhibit of which is the colossal statue ‘Buddha in Nirvana’ 12.85 m long and 5.5 tonnes in weight. Breakfast at the hotel. Leisure time. Transfer to airport. Departure. So, our adventure Pamir travel is over. If you have some spare time, be sure to visit the Tien Shan Mountains in order to compare the two enormous mountain systems. The mountains can be so different, and yet they all are so appealing! The primeval beauty of these mountains is perfect. The local people living in harmony with nature are wise, simple and almost innocent. This is why a lot of urban people come here: living in a city, they feel they are becoming more and more detached from something extremely essential and important, that the city deprives them of their energy, while mountains recover this energy. We are looking forward to your return under the Roof of the World! • Services of English speaking guide. Cost includes accommodation in hotels 3* and local guesthouses. We choose the most conveniently located and reputable hotels for our customers to stay at. The list of the hotels we offer is below. However, due to seasonal conditions and group size this list is subject to change. - Hotels 3-4* are very comfortable hotels providing excellent facilities and services; mainly located in or near city centers. - Guesthouses/ home stays are characterized by immersion in the locals’ ways of everyday household living. The number of guests accommodated in a guesthouse room is 3-4. Guests enjoy overnight rest on traditional kurpacha mattresses on the floor, with all the necessary bed linen provided. The toilet and bathroom are in the yard. The lack of many-star hotel comforts in the guesthouses are compensated for by the kindliness and hospitality of their hosts. Group of 1-2 "Toyota Rav 4"
Group of 3 "Hyundai Terracan" or "Toyota Prado"
Group of 4-5 "Hyundai Starex 4х4"
Adventure jeep-tour in the Pamirs is a 10-day travel in the remote mountainous areas. Maximum altitude to be reached during this tour round Pamir is 4,650m, minimum altitude is 500 m.
Temperatures: from 0° C to +30° С. Route grading: maximum distance jeep-tour feasible for Asian region. The participants don’t need special skills or physical fitness. Transport: this is an overland journey on jeeps and minibuses. Jeep is the major transport means to be used during this tour. Best places to visit in Kyrgyzstan: Issyk-Kul Lake, Lenin peak region, Chychkan gorge, Song-Kul Lake, Jety-Oguz Gorge. - your passport validity should exceed the expected date of the tour completion for minimum 3 months. - Hotels. The most conveniently located, reputed hotels are chosen for accommodation during this tour. The list of recommended hotels is subject to alteration due to seasonal conditions and group size. - Yurts/local homes/guest houses. 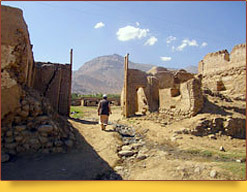 In Tajikistan you will often stay in cozy local homes the owners of which are notable for hospitality and friendliness. 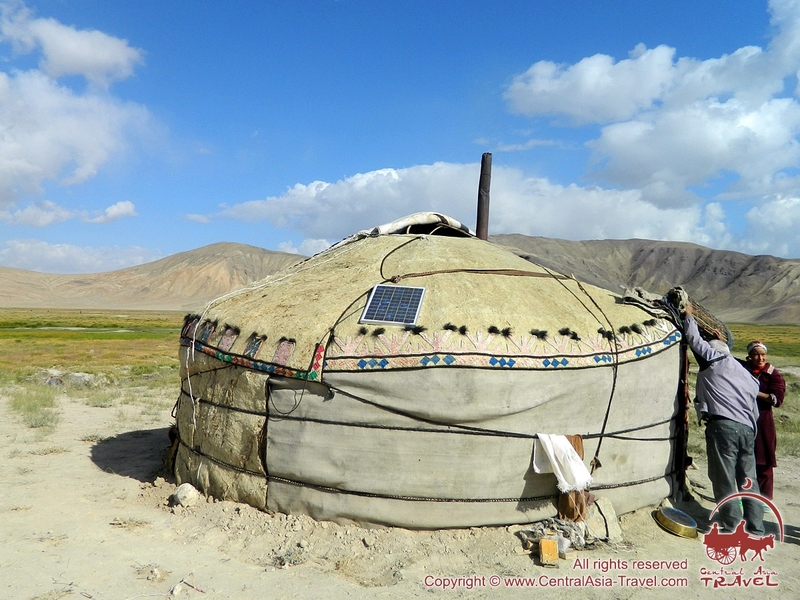 If you continue your journey to the Tien Shan mountains in Kyrgyzstan, or to Lenin peak, you will get the opportunity to live in national yurts in the shepherds’ yurt camp. No visa is required to enter Tajikistan for nationals of the CIS countries (except Uzbekistan and Turkmenistan). However, the nationals of other countries are required to have a valid foreign passport and visa which can be obtained in Tajik embassies or consulates abroad. For nationals of 69 states Tajikistan has introduced a simplified visa issue regime under which diplomatic, business and tourist visas for the duration not exceeding 45 days can be obtained upon arrival at Dushanbe international airport. To get Tajik visa foreign travelers must first have visa support issued by the hosting party. Holders of passports issued by CIS countries as well as 60 other foreign nations enjoy visa-free entry to Kyrgyzstan. The details on Kyrgyz visa you can find here. Entry into some mountainous regions require special permit. In order to obtain such a permit you should provide us with photocopy of your passport and specify the planned dates of visit not later than 30 days prior to your arrival. Is it obligatory to have temporary registration while staying on the territory of Tajikistan? Foreign tourists with Tourist visa (T) are allowed to stay on the territory of Tajikistan without temporary registration within 30 days. Holders of all other visa categories, as well as CIS citizens, except for those of Kazakhsatan and Kyrgyzstan, should get temporary registration within 3 working days from the date of entry. Policemen in the street, as well as border officers at the port of exit can demand the proof of Tajik registration. Absence of registration is penalized by heavy fine. What documents and forms should be filled out while entering/leaving the territory of Tajikistan? Upon entering Tajikistan a foreign national should fill out migration card which is provided on board of plane or on arrival at airport, as well as customs declaration. Upon exiting the country a foreigner should show the customs control official the registration certificate, migration card, and customs declaration filled out on arrival to Tajikistan port of entry. What is forbidden to bring in and take out from Tajikistan? Similar to other countries’ regulations, it is forbidden to bring pornographic materials, firearms, weapons and ammunition, printed, audiovisual and other information which can be construed as jeopardizing the country's state sovereignty, narcotics, including drugs containing psychotropic agents. Exception is the medicinal product accompanied with a copy of doctor’s prescription. It is allowed to take out any items except foodstuff, precious stones, gold and minerals. Foreign travelers are also forbidden to take out local currency- somoni. If a traveler wants to buy any jewelry item as a souvenir, he/she needs a permit certifying that this item does not have cultural or historical value. Is it allowed to bring alcoholic drinks and cigarettes in Tajikistan? Under Tajik customs regulations it is allowed to bring in not more than 1 litre of alcoholic drinks and 1 block of cigarettes (200 sticks) per person. What are the limits to the amount of foreign currency allowed for bringing in or taking out of Tajikistan? Tajikistan has no restriction on the amount of foreign currency cash you can carry in or out of Tajikistan. However, any amounts of foreign currency cash exceeding $5,000 in USD or foreign equivalent must be declared. It is recommended to declare the total amount of currency brought in the country, because a foreign traveller is allowed to take out of Tajikistan the amount of foreign currency that does not exceed the amount which was brought in and declared in customs declaration. On exiting the country the amount of cash exceeding $500 is subject to declaration. The total amount of foreign currency cash allowed for export from Tajikistan without special permit is $2,000. If the amount of foreign currency exceeds $2,000, appropriate documentation certifying its legality should be submitted to customs authorities. Customs declaration confirming the import to Tajikistan of foreign currency cash or valuables can serve this purpose. What currency is in circulation in Tajikistan? Where can foreign currency be exchanged for local one? Any transaction when buying goods and services or any other financial dealings on the territory of Tajikistan are made in the national currency - somoni. Foreign currency can be exchanged in the banks of big cities or numerous exchange offices which function practically in any town of the country. It is not recommended to exchange foreign currency in the streets or bazaars. Are credit cards accepted for payment of goods and services on the territory of Tajikistan? Visa and Master Card are accepted for payment of goods and services in some hotels and supermarkets of Dushanbe and Khojent. ATMs are available only in these two cities. What time zone is Tajikistan in? In Tajikistan local time is +5 GTM. Can foreigners subscribe to the mobile communications service operators in Tajikistan? Is mobile communication service available everywhere in Tajikistan? In Tajikistan today mobile telecommunication services are provided by 9 companies with ability to support international roaming with major world mobile operators. However it is not easy for a foreigner to buy a SIM-card of the local mobile communication provider. In majority of cases this is to be solved individually between the buyer and the seller. It should be noted that mobile communications rates in Tajikistan are rather high. In cities and large towns cellular communication functions regularly with good signal receipt. However, in some remote villages, especially in mountain areas, there are difficulties with signal receipt. How good is Internet access in Tajikistan? The quality of Internet access depends on the location of the town: the larger the town or city is the better is Internet access. In majority of villages there is no Internet access. Wi-Fi is available in some hotels and restaurants of Dushanbe and some other Tajik cities. Internet-cafes are available only in large towns. Is it allowed to take photos or make video recording at tourist attractions? In Tajikistan it is forbidden to photograph or make video of military facilities and airports. Some attractions charge extra fee photographing or video recording. It is not recommended to take pictures of people in the street without their permission, especially women. What kind of clothing is suitable for travelling in Tajikistan? Are there any restrictions in clothes for women? 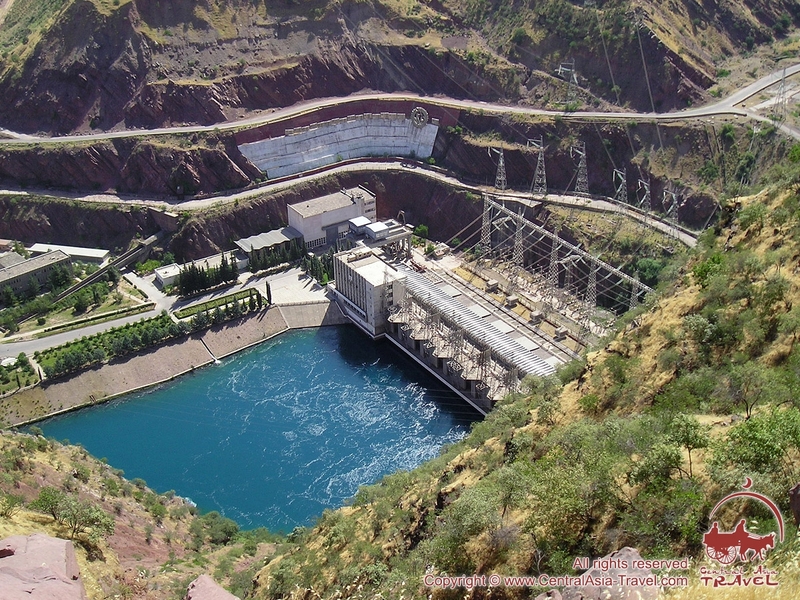 Tajikistan is a mountainous country with variety of weather conditions. In summer in the cities the temperature can rise as high as +30-40 degrees Centigrade, whereas in Pamir mountainous areas it is much cooler. Warm clothing to protect you from piercing wind, rain and snow should be taken if you travel in Tajikistan during the colder seasons of the year and always in the mountains. The outfit for mountain trekking should meet the standard requirements for this type of sport. There are no restrictions in clothes for women. What language do local people speak? Do they speak foreign languages? What are dining facilities in Tajikistan? In Tajik capital and big cities there is a big variety of cafes and restaurants offering national Tajik cuisine as well as dishes of international cuisines. The prices are reasonable- a substantial lunch in cities can cost $ 8-10, whereas in teahouses and cafes in some mountainous areas it is even cheaper. Tajik cuisine is extremely delicious and varied. Arrival in Dushanbe early in the morning by Turkish airlines. Meet and greet in the airport of Dushanbe - capital of Tajikistan, transfer to and early check-in at the hotel. After rest and breakfast Sightseeing in Dushanbe: Rudaki park, Somoni square, Museum of National Antiquities, famous Hissar Fortress. Dinner in the restaurant. Overnight in the hotel. We shall begin our interesting tour of the Pamir Mountains in Dushanbe, the colourful capital of Tajikistan. This city, the largest one in Tajikistan, features squares that have retained the memory of numerous historic events, ancient fortresses that witnessed major historic battles and museums that can relate the stories of old civilisations. Dushanbe is the capital of a country, where Ismail Somoni, an outstanding ruler from the Samanid dynasty, after whom the monetary unit of Tajikistan, somoni, was named and the Pamirs’ highest peak, Ismail Somoni Peak (former Communism Peak), was renamed in 1998, founded his great empire. Present-day Dushanbe is a modern capital, a sunlit city with a highly developed infrastructure, which, probably, is the leader in the number of streets, avenues and squares named after poets and writers. Your excursion to Dushanbe will include the Rudaki Park, which is the city’s central garden; the Somoni Square with a grandiose monument to Ismail Somoni - the wise emperor with a shining sceptre seems to walk from under a huge gilded arch 40 m high; the Museum of the Antiquities of Tajikistan boasting the richest collection of artefacts excavated in the territory of Tajikistan, the central exhibit of which is the colossal statue ‘Buddha in Nirvana’ 12.85 m long and 5.5 tonnes in weight. At the end of the day you will have an excursion to the legendary world-famous Hissar Fortress, located in 30 km from Dushanbe. The remains of the fortress, which survived till our days present monumental gates with two round tower and lancet arch between them. The guide will tell you some legends, connected with this places, which are always helpful for understanding of the greatness of such a building. Return to Dushanbe. Overnight in the hotel. After breakfast drive to Kalai-Khumb settlement via Kulyab. Lunch en-route. Dinner and overnight at the hotel. Today’s destination is the village of Kalai-Khumb. The road is long and lies via another Tajik town - Kulyab. In Kalai-Khumb we shall stay at a cosy private house, where we shall partake of a most delicious supper cooked by aboriginal Pamir people. After breakfast drive to city of Khorog via Rushan village. Lunch en-route. On arrival to Khorog have a sightseeing which includes botanical garden, local lore museum and bazaar. Dinner and overnight in the hotel. Accommodation: Dehli Darbor Hotel 2*+ / Lal Hotel 2*+. 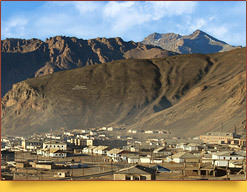 Today our journey will end in the city of Khorog, with a stopover at the village of Rushan, also known as Vamar. There we shall see ruins of a 19th-century fortress, Kala-i-Vamar, with walls 6 m high, which was occupied by the Russian garrison of the Pamir detachment in the early 20th century. In Khorog we can have a rest after a long road at a local hotel. Khorog is an administrative centre of Badakhshan province of Tajikistan since 1925, a very beautiful city buried in thick verdure, with unique traditional Pamir houses in its suburbs and huge poplars growing all over the city area. A regional centre of administration, trade, transport and, certainly, education, Khorog is situated on the bottom of a deep gorge, at an elevation of 2,200 m above sea level, not far from the place where the Gunt merges with the Panj, 525 km from the country’s capital Dushanbe. The walls of the deep canyon the city lies in protect it from winds and low temperatures in winter, summer being warm and dry all over the region. The eastern part of Khorog is overlooked by the famous Pamir botanical garden, occupying terraces at the banks of the Shakhdara River at an elevation of 2,320 m above sea level. It is the world’s second most elevated botanical garden (after the one in Nepal) and features unique flora brought from all over the planet. The garden, as well as the local lore museum and bazaar will be among the objects of our excursion to Khorog. After breakfast drive towards Ishkashim settlement where you can visit Garm Chashma hot springs. Lunch en-route. Dinner and overnight at homestay in Ishkashim. Accommodation: Home Stay “Anis” . Not far from Khorog, on the western slope of the Shakhdara Range, on the right bank of the Garm Chashma River, is a sanatorium with the same name, Garm Chashma, popular throughout Central Asia for its hot mineral springs. The Garm Chasma Springs are surrounded by magnificent Pamir ranges with slopes covered with spruces, wild roses, black currants, barberries and sea buckthorns. Situated at an elevation of 2,770 m, the springs have the form of natural baths decorated with fantastically beautiful white stalactites - carbonate deposits, which make one feel as if bathing in a small glacial lake. The water springs from deep fissures in ancient crystalline rock formations, becoming saturated on its way to the surface with hydrogen sulphide, silicic acid, iron, barium, aluminium, fluorine and other active micro- and macroelements. The temperature of the mineral water in the Garm Chashma Springs may reach +64°С. This unique place will improve your health, as baths with mineral water have a strong curative effect and enhance the organism’s immunity. The curative hydrogen sulphide water from these hot springs is highly recommended for people with various types of dermatitis, as well as for those having problems with the musculoskeletal and cardiovascular systems and respiratory organs. The cleanest mountain air, which is slightly thinner at this altitude, augments the overall curative effect, while the mild climate and marvellous sceneries help release the body and mind from stress and fill them with harmony and good emotions. Apart from the hot springs, Garm Chashma features cold mineral springs (Khosguni, Chursh, Zund) with carbonised water, which is used as curative drinking water. For the night we shall stay at a private house, located in 20 km from Garm Chashma in the village of Ishkashim. After breakfast drive to Langar settlement. En-route visit Bibi Fatima hot spring. Sightseeing in Yamg village includes tomb and reconstructed house museum of Sufi mystic Mubarak Kadam, and the stone that was used as a solar calendar 700 years ago. Picnic lunch en-route. On arrival to Langar dinner and overnight homestay. So, it is time to move on. Today we shall transfer from the Wakhan valley to the village of Langar, with a few interesting stopovers. The first stop will take place at the hot spring Bibi Fatima in the village of Yamchun, 90 km east of Ishkashim. The spring is connected with numerous legends about its curative properties, and its name is associated with Fatima, Prophet Muhammad’s wife. The water of the spring is characterised by a year-round temperature of 40 °C and contains radon and other minerals making it uniquely curative. It comes right out of a rock in two streams, which local’s call ‘Fatima’s sleeves.’ Next to the spring there is a kind of infrastructure consisting of a pool and changing and recreation rooms. There one can also go down a staircase to have an invigorating shower under a natural waterfall. Further we shall stop at the village of Jamg, where we shall visit the tomb and reconstructed house of Sufi Mubarak Kadama. Sufi Mubarak Kadama (1843 - 1910) was an inventor, poet and musician, whom locals call Mubarak of Wakhan. The museum organised in the person’s house contains a collection of musical instruments and a loom made by Mubarak himself, as well as his books and everyday articles. 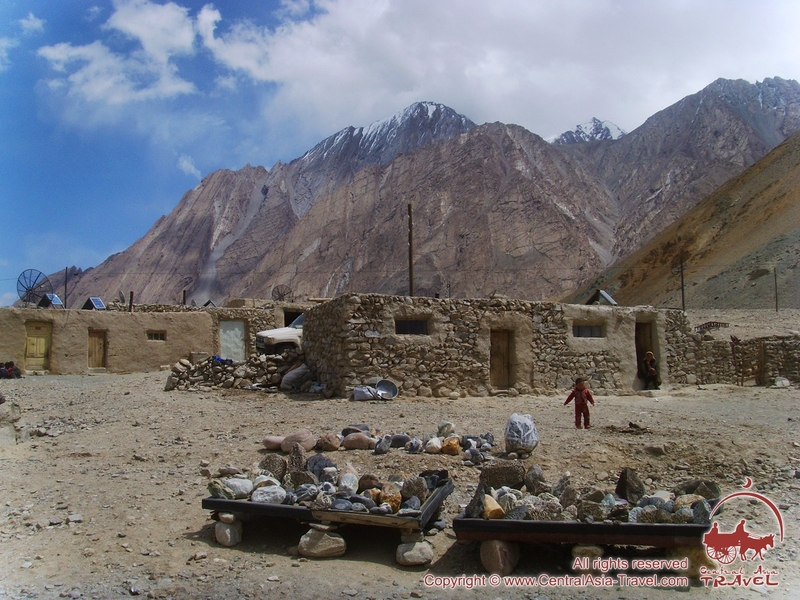 Langar is a village in the Wakhan valley, South Pamirs, situated at an elevation of 3,000 m above sea level and surrounded on all sides by the peaks of the Pamir Mountains and Hindu Kush rising to 6,000 m and more. Langar is inhabited by Wakhan people and is famous for its rock paintings. Scientists have discovered over 6,000 petroglyphs at the site depicting hunt, caravans and horsemen. After breakfast drive along Langar valley up to Yashilkul Lake. Stop at the lake to delight in beautiful views. 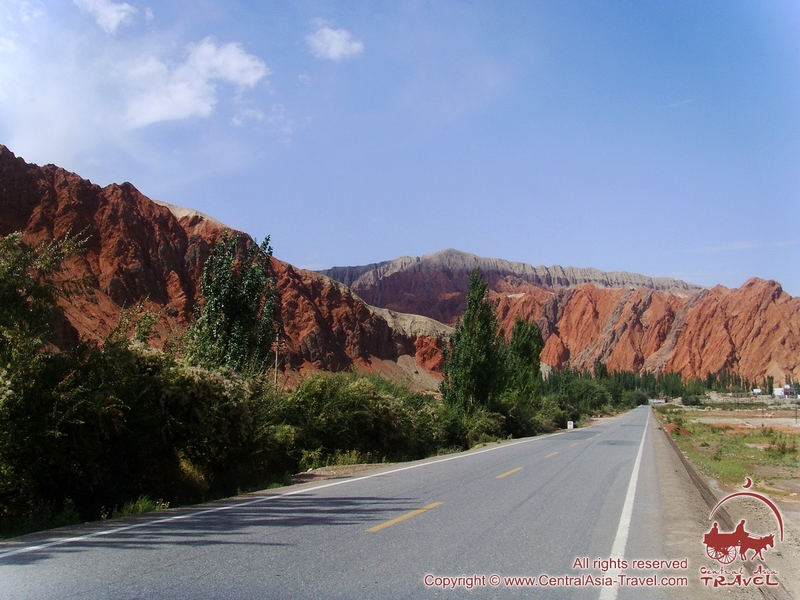 Drive to Murgab (3,600 m) - the highest alpine town in Tajikistan and the whole Central Asia. On the way to Murgab you will surmount high-altitude mountain pass Yanghidavon (4,427m), from the top of which the 7546m-high peak of Muztagh-Ata is visible. Lunch en-route. Overnight in Murgab. 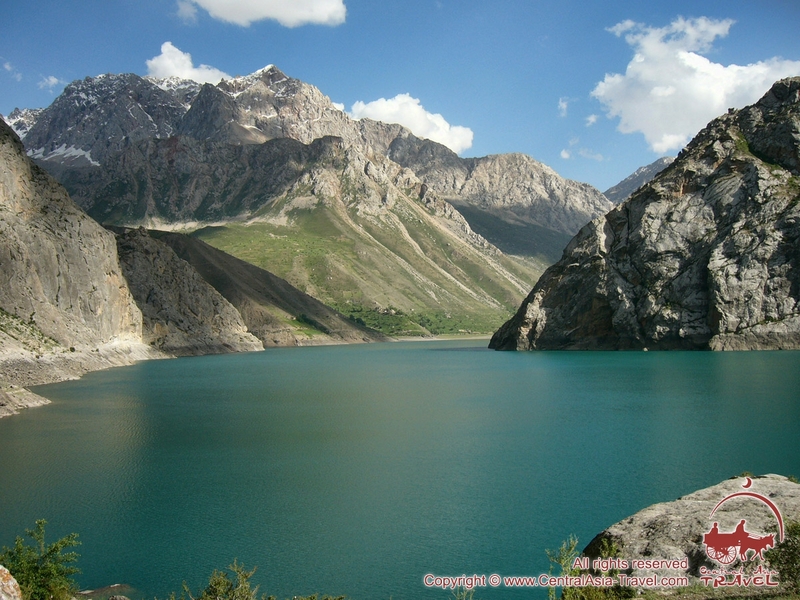 Today our destination is Lake Yashilkul (‘the green lake’), one of the most beautiful lakes of the South Pamirs situated t an elevation of 3,734 m above sea level. The water in the lake is clean and transparent, its temperature never rising above +14°С, even in summer time. Some fish species live in the lake, namely, the false osman, Tibetan stone loach and marinka. Lake Yashilkul, probably, formed before the 13th century as a result of a strongest earthquake and a landslide that followed it. The fragments of the fallen rocks made up a tall dam, obstructing the flow of the Alichur River. This theory is confirmed by Arabic inscriptions discovered on the rocks above the lake. The Gunt River flows out of Lake Yashilkul and reaches the Panj (the Amudarya River basin). Later this day we shall reach Murgab (3,600 m), the highest village in Tajikistan and Central Asia, via another high-altitude pass, Yanghidavon (4,427 m), from the top of which you will obtain a view of Muztagh-Ata (7,546 m), the highest peak in the area. After breakfast drive the road running along the Murgab River and the Akbaital River and further over Akbaital pass (4,655 m) to Karakul village. On the way there opens a spectacular panorama of the snow-topped Sarykul range. Stop and admire the high-altitude Karakul Lake (3,914 m) - the largest lake in Tajikistan and one of the highest in Central Asia, surrounded by mountain peaks. Lunch en-route. On arrival to Karakul village dinner and accommodation in a local home. Today we shall drive over the Akbaital Pass (4,655 m) to highly picturesque endorheic Karakul Lake (the name translates from Turkic as ‘the black lake’) lying to the north of Myrgab at an elevation of 3,914 m, which is 100 m higher than Lake Titicaca in the Andes, the most popular alpine lake in the world! 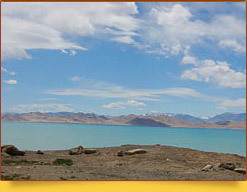 Moreover, this is the largest lake of a mixed glacial and tectonic origin, with an area of 380 m (without islands) and a maximal depth of 240 m. The lake is surrounded by bare rocky mountain ridges, which drop directly into the lake from the west and are situated at some distance from it in the east. We shall stay for the night in a cosy private house in the village of Karakul. After breakfast drive towards Osh over the Kyzyl-Art pass (4,280 m). Descend to the Alay Valley to Tajik-Kyrgyz border. Cross the border at ‘Kyzyl-Art’ border check point and continue to Osh via Sary-Tash urban-type settlement .On arrival to Osh accommodation in a guesthouse. Overnight in Osh. Accommodation: Sun Rise Hotel 3*. Today we shall leave the territory of Tajikistan and enter Kyrgyzstan. After crossing the Kyzyl-Art pass (4,280 m) we shall drive down into the Alai Valley and approach the Tajik-Kyrgyz border. On our way down into the valley we shall admire amazing panoramas of glaciers and mountain ranges! As we pass the Kyzyl-Art border checkpoint, we shall head towards Osh via the village of Sary-Tash. The village of Sary-Tash is situated in Alai District, Osh province, Kyrgyzstan, at an elevation of 3,150 m above sea level, at the junction of the principal Pamir roads. 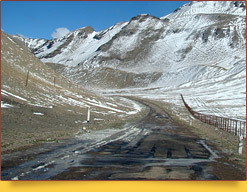 The Pamir Highway crosses the area south to north, across the Taldyk pass (3,615 m) in the Alai Range. The picturesque serpentine leading to the top of the pass will gradually reveal the majestic panorama of the surrounding splendour. There we shall see another aspect of the Pamirs’ beauty: the powerful sharp-pointed peaks with orange rocks, sea buckthorn thickets and rapid streams that have forced their ways in the surrounding grandiose canyons are just breathtaking! As we drive nearer to Osh, the mountains become lower and the air warmer. And soon, instead of the now usual mountain ranges you will see in front of you the plains of the vast Fergana Valley. The warm and hospitable Osh will greet you with ripe melons and water melons, hot air at midday and bright stars at midnight! There you will plunge again into civilisation, which you have already missed so much in the course of the last few days: numerous cafes and restaurants, hotels, shops, bars and good Internet connection. After breakfast it is possible to have a sightseeing round Osh: Sacred Suleiman's Mount , Babur’s House on a huge rock that looks down upon the picturesque city of Osh, Historical-Ethnographic Museum (the Great Silk Road Museum). Overnight in Osh. 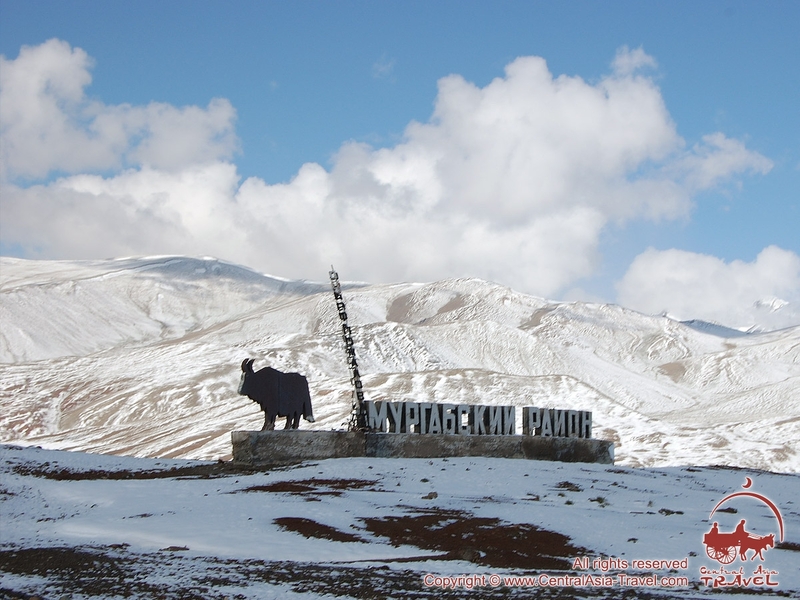 Osh became the starting point of the Pamir Highway crossing the Pamirs to end in Khorog. Osh is also one of the Muslim religious centers in Central Asia; it has the largest mosque in the country. The only World Heritage Site in Kyrgyzstan, Suleiman Mountain, offers a splendid view of Osh and its environs. A cave in the mountain is the site of a museum containing a collection of archaeological, geological and historical finds and information about local flora and fauna. There are many legends about the mountain. It was named for the prophet Suleiman, who is believed to have been able to cure all the diseases. According to a belief, this is the place where prophet Suleyman appealed to God, and the stones still bear the imprints of his forehead and knees. Muhammad Zahiriddin Babur (1483-1530), Tamerlane’s great-grandson and the founder of the Mogul dynasty, built a khujra (cell) with a mihrab over this place sacred for any Muslim. The site of the cell is now occupied by the Takhti-Suleyman mosque, a unidirectional building of white rock, and ‘Babur’s house’ restored following historical data. So, our wonderful trip across the Pamirs, a major Asian mountain system, is over. If you have some spare time, be sure to visit the Tien Shan Mountains in order to compare the two enormous mountain systems. The mountains can be so different, and yet they all are so appealing! The primeval beauty of these mountains is perfect. The local people living in harmony with nature are wise, simple and almost innocent. This is why a lot of urban people come here: living in a city, they feel they are becoming more and more detached from something extremely essential and important, that the city deprives them of their energy, while mountains recover this energy. Transfer to the airport. Early morning flight from Osh via Moscow. • Mineral water for each day of the tour. • Visa fee to Tajikistan and permission to GBAO autonomous zone (obligatory - can be obtained on line). - Meals on full board basis - 60 USD/per person (2 lunches, 2 dinners). Travelling in jeeps in the high-altitude areas of the Pamirs! A trip filled with enormous breathtaking spaces and the cold beauty of the high Pamir Mountains. The famous Pamir Highway, M 41, is a high-altitude car road over 700 km long connecting Dushanbe, Khorog (Tajikistan) and Osh (Kyrgyzstan). 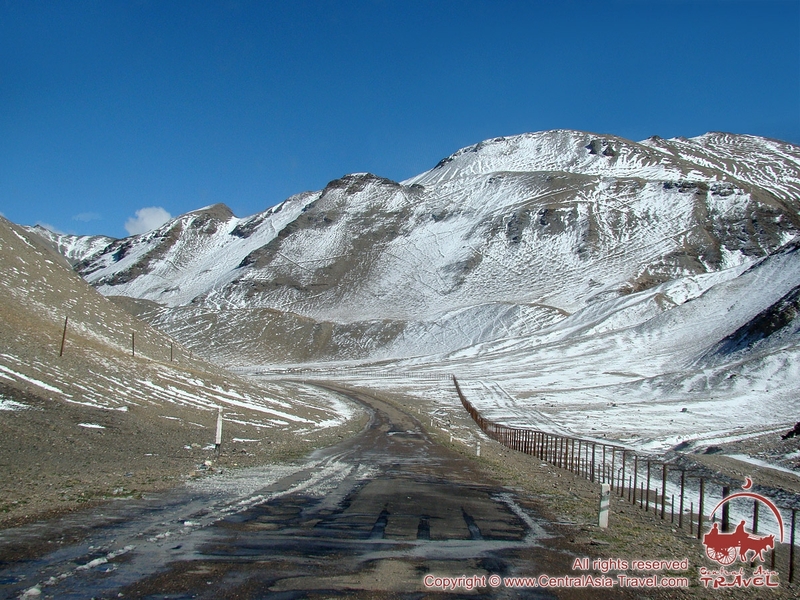 The Pamir Highway is unpredictable and usually empty, featuring several passes over 4,000 m high. Along the whole length of the road there are very few car service centres and petrol stations. Currently, it is one of the most elevated paved roads having such length. M 41 forms the only vital artery connecting the isolated alpine regions of the Pamir Mountains with the rest of the civilised world.